Aviation jobs in the Association of Southeast Asian Nations (ASEAN) look set for a further boost in 2019, with a host of general and aviation-specific factors contributing towards growth. Here, we’ll introduce you to some of the most significant elements that indicate job opportunities could be even greater across this region in the year ahead. Senior ASEAN and Indian politicians have attended two major aviation-related summits during 2018, resulting in a pledge to improve air links and other forms of connectivity between the two regions. ASEAN political leaders are also hopeful of completing a deal with China in 2019. This would set out a code of conduct designed to reduce political tensions in the South China Sea. As a result, trade and mutual collaboration would be improved. The introduction of the ASEAN Single Aviation Market (ASAM) has already resulted in increased tourism, creating new jobs, trade opportunities, foreign investment and economic growth. A recent report showed that 86% of ASEAN corporations are confident about their foreign trade prospects in the year ahead, compared to a global average of 77%. The Institute for Democracy and Economic Affairs (IDEAS) estimates that aviation growth will support more than 2.5 million jobs across the region by 2030. This will contribute $100 billion dollars per annum to regional economies (providing passenger demand can be met). Alongside aviation, much of this growth will take place in the manufacturing and digital sectors. 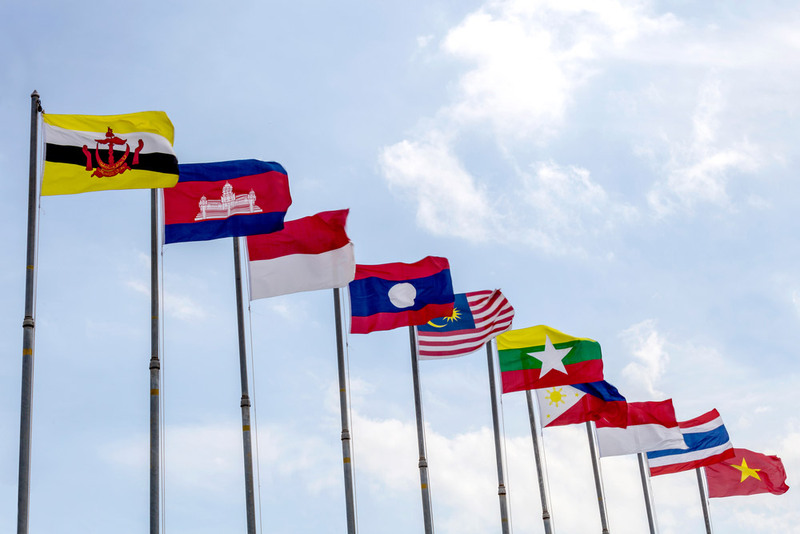 The ASEAN members likely to experience the most rapid economic growth are Indonesia, Philippines, Thailand and Vietnam, although all nations are expected to at least remain stable. ASAM has also helped reduce prices and expand options for prospective passengers in ASEAN (IDEAS). This is reflected in rapidly expanding passenger numbers, as well as new aviation start-ups and planned aircraft deliveries. Air freight and postal services will undoubtedly develop rapidly in line with economic growth. However, if the last six years are any indicator, passenger numbers will be the most significant area of development. The aviation skills shortage is the most serious risk to growth in the region. ASEAN members are yet to develop sufficient aviation training infrastructure. And, in the meantime, China and Western nations are swallowing up the lion’s share of newly-qualified staff. One of the few positive effects of this skills shortage is that women are entering roles formerly dominated by men. For instance, Malaysia Airlines has just inducted its first three female pilots, some of whom have chosen to return from piloting overseas. Want to find out more about aviation jobs in ASEAN ? Get to grips with a host of the most significant trends impacting ASEAN aviation in our brand-new white paper – launching soon. Optimise your aviation job search wherever you are in the world by calling on the expertise of the AeroProfessional team.